Commercial, Tax, Administrative Law, Intellectual Property Law, Labour Law, Medical Law and Property Law. Kennedy commenced his career as a lecturer at the University of Port Elizabeth and proceeded to become manager for regulation review at the Department of Trade Industry’s Ntsika Enterprise Promotion Agency. 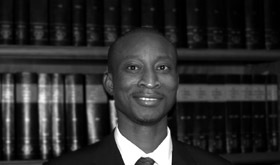 Kennedy completed his articles and practiced as an attorney at the commercial department of Hofmeyr Herbstein & Gihwala in Johannesburg. As an attorney, Kennedy practiced in all aspects commercial legal work, tax, project and structured finance, and general commercial litigation and tax litigation. Kennedy has published articles in, amongst others, income tax law and intellectual property law. Kennedy joined the Johannesburg Bar in 2005.